One of my first stops this morning—the first morning of AXPONA 2019—was the Shunyata room in the Renaissance Schaumburg Hotel. Shunyata, as you’re probably aware, has long been one of the more scientific-minded of the companies focused on quality power for home audio systems. I learned today that Shunyata has an expanding presence in the medical industry; It’s actually a sister company, Clear Image Scientific. 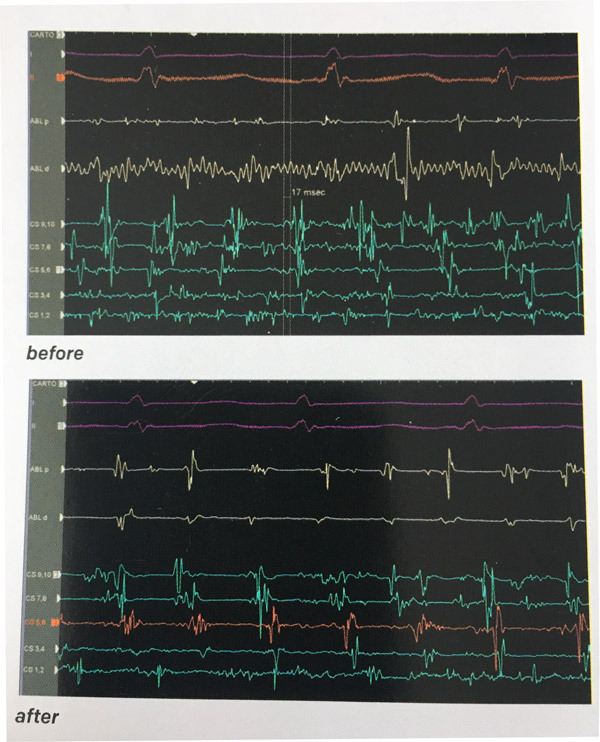 One graph displayed in the Shunyata room showed a huge reduction in noise in what appeared to be an EKG; see the image below. (Apologies for the poor image quality.) Look at the yellow trace, fourth from the top, and compare the top image (before) with the bottom image (after the application of Shunyata’s noise reduction). I don’t know exactly what you’re seeing here, but the clarity of the signal has improved dramatically. What really caught my attention though was a demo of one of the company’s noise-absorbing cables, featuring Shunyata’s Grant Samuelson. Watch the following short video; it’s only a couple of minutes long, and I promise it’ll be worth it. Notice that the other end of the noise-absorbing cord—the IEC end—isn’t connected to anything; it’s just dangling. To put it in more technical terms, it’s in parallel with the measuring device. When it’s placed in series–inline–the further improvement isn’t audible, but it is substantial. This is not a direct demonstration that Shunyata power cords improve the sound of your hi-fi; for that you’d need to visit the show yourself, or try these cords at home. It is however powerful evidence that the Shunyata power cords are effective at reducing broadband noise in electrical circuits. One problem I have with many high-end power cords is their weight and stiffness; it’s common for IEC cords to pull out of the components they power due to their weight and stiffness–and power cords don’t sound good when they’re disconnected. But take a look at the image at the top of this post. 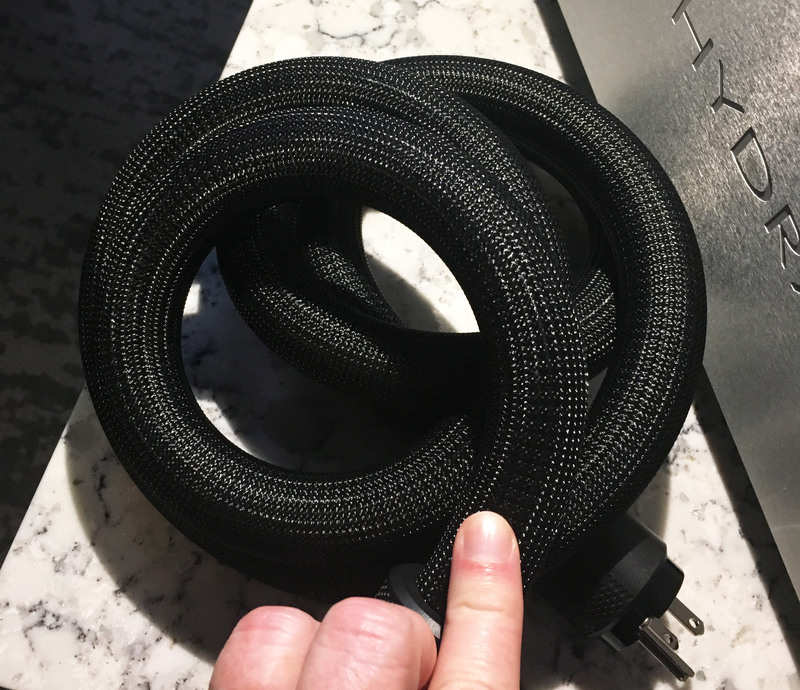 That’s a high-end Shunyata cord—this one costs around $1500—, far less than the most expensive cords on the market–coiled up like a snake or a slinky. Apart from being flexible, it’s also very lightweight.